Bill has been in private law practice for over 30 years and manages the probate, estate planning, elder law, and taxation practice. He is a member of the American Bar Association Committee on Taxation and the Connecticut Bar Association Committees on Taxation, Estate, and Probate. 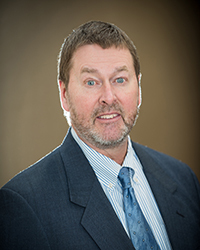 Bill is also a Certified Public Accountant and has served on various committees of the Connecticut Society of CPAs. He has also served as an adjunct faculty member of the University of Hartford Graduate Tax Program.